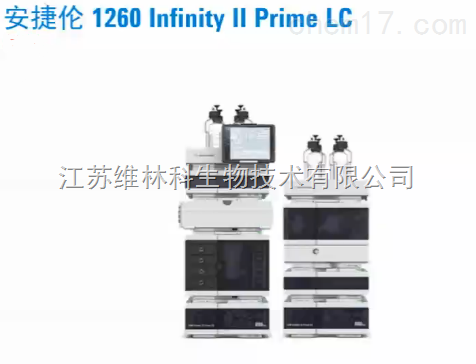 1260 Infinity Quaternary Pump VL. Max. pressure 400 bar. Includes integrated 4-channel degassing unit, quaternary pump VL, connecting capillaries, solvent cabinet and CAN cable. 1260 Infinity Autosampler for use up to 600 bar. Includes 100 uL metering device and a 100uL sample loop plus integrated needle flush port. Includes 2 drawers each for 66 vials (2mL). 1260 Infinity II Thermostatted Column Compartment. 1260 Infinity Variable Wavelength Detector . For identification, 10mm path length, 14 micreliter cell volume. OpenLAB CDS Workstation Software Plus. This product includes software, built in content management, 2 connections, a one year Software Maintenance Agreement and phone support.